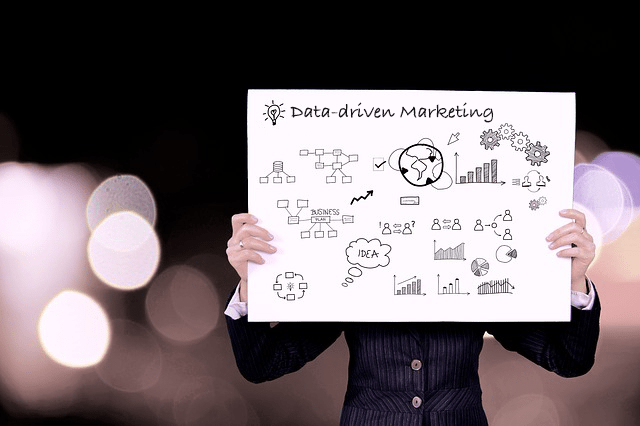 Data-driven marketing goes from strength to strength and the demand to leverage more value from your data grows stronger year by year. So like most marketers, that’s probably where the lion’s share of your 2016 budget is focused. According to the second Global Review of Data-Driven Marketing & Advertising released late last year, the main 2016 expenditures in our markets will be in: (1) digital campaign execution including Web and mobile development, rich media/video, etc. ; (2) predictive analytics, modelling, segmentation and insight development; (3) audience analytics/measurement and attribution, including Web analytics; and (4) data/database management including CRM and data management platform technology. Data matters, but data quality matters more. 2016 will see more graduates with quantitative skills entering marketing, yet at the same time companies will also outsource more data to analytics specialists. We’ll also see further advancements to democratise data throughout organisations, with business users having greater access to data allowing for more informed recommendations and decisions. By 2017, Gartner expects that many business users and analysts will have access to self-service tools to prepare data for analysis, and most data discovery tools will have incorporated smart data discovery capabilities to expand the reach of interactive analysis. EMI Music for example, wants employees at every level to be able to make quick decisions on the best ways to promote its artists around the world. So the company makes data accessible to all in-house business users on PCs and iPads to help them make decisions about products, pricing, sales channels and marketing approaches. The ability to provide employees with high-level information at a glance plus the facility to go deeper when necessary has been a challenge, but finding the right balance has paid off. Employees are able to make fast, well supported, data-based decisions with confidence. The company finds that product and pricing choices are smarter and marketing is more focused and effective. In terms of publicly accessible data, Amazon has long been a benchmark company when it comes to providing consumers with access to helpful information. This is partly due to the self-service analytical data, such as ratings, reviews and suggested products that they make available to enhance the customer experience. Companies will continue striving to reduce information silos. Core data is increasingly being centralised in Digital Marketing Hubs or Ecosystems. These host every important piece of known data about a customer or prospect on one platform – including demographics, customer behaviour, social behaviour, web and app activity, etc. – and enable a single view of each customer with data accessible across the organisation, ideally in real time. In a 2015 survey, however, only 6% of marketers worldwide reported they had an adequate single view of customers or prospects across all devices and touchpoints. In the analytics space predictive marketing innovation will focus on predictive technology, using it to spot trends; determine the best channel, content and offer for individuals; prevent bottlenecks; identify retention leaks; and capitalise on opportunities before they occur. The push is also on for customer journey analytics with improved measurement and multichannel attribution techniques. In part this is required to support cross device identification, cross channel marketing and provide deeper insight for planning and investment optimisation. In 2016 we’ll see algorithmic/programmatic approaches expand into unforeseen areas and become even more common. For instance, adopting algorithmic attribution over traditional rules-based attribution models such as last-click, will remove much of the rules-based subjectivity. We’re also beginning to see algorithms used to assemble and create meaningful content. Cognitive technologies involving self-learning systems based on data mining and techniques to mimic the way the human brain works, will increasingly learn customer behaviours, personalities and emotions. In-memory computing will also have more and more uses, especially with its ability to help predictive analytic systems aggregate and analyse vast amounts of data from multiple data sources in real-time. For example, eBay uses the technology to score both business and technology benefits. Within marketing the complex “hand-offs” between multiple channels must be fluid and seamless for customers, unfortunately many businesses are losing the race to keep up with people’s communication habits and buying needs. And as mobile’s share of traffic continues to grow, brands will be even more pressured to connect a single user to their multi-device and resolve cross-device measurement issues. So bridging the cross-device chasm will be a key priority in 2016 with the focus on a combination of deterministic and probabilistic methods to overcome the challenge. Moving forward, you’ll be able to use display and social advertising, as well as mobile apps, to show contextually relevant content to viewers. Marketing and advertising technologies are starting to merge and interact seamlessly, with tools being developed to link marketing automation platforms to digital display advertising, social networks, and mobile apps, showing viewers contextually relevant content. Marketers will be able to automatically personalise their digital marketing and add or remove messages from the audiences based on where the individual is in their customer journey. By linking all data sources and having a much better behavioural-based segmentation and contextual understanding of the individual being targeted, you’ll be able to serve them more refined messages, adding value to the customer’s journey. This is a significant improvement on the repeated, static display ads that hitherto stalked people online. Forrester’s predictions indicate that early experiments in contextual marketing will manifest into invaluable lessons in 2016, pushing marketers to build better individual customer connections, and leverage automation technology to gain deeper customer insights across all marketing touchpoints. Achieving true personalisation requires the automation of customer interaction management and big data analytics capabilities, bridging the channel silos, and unifying data from all interaction and transaction history to gain a better view of individual customers. In the mobile space marketing automation will become even more important in 2016 with new marketing technology releases. Use of data-driven triggers will expand further in the area of mobile marketing, engaging customers based on their specific location. By marrying data analysis and creative thinking, programmatic creative may be the next marketing development. Historic and real-time access to countless executions will provide insightful creative learnings that can be readily tried, tested and tweaked to perfection. Programmatic buying of contextually appropriate digital ad space is already widely used and allows creative to be tailored to relevant audiences at scale in real-time across a wide range of digital media. Buying goes hand in glove with programmatic creative and programmatic retargeting, delivering significant savings in human resources. A recent Gartner survey on the role of marketing in customer experience found that, by 2016, 89% of companies expect to compete mostly on the basis of customer experience, versus 36% four years ago. Unfortunately, other research indicates that only 37% of organisations feel they have the tools needed to provide exceptional customer service and experiences. There’s no doubt though that delivering a connected customer experience will be a focus for the majority of marketers this year. As noted earlier, a single, centralised and complete view of all relevant customer data is an essential prerequisite. Some businesses in pursuit of a new approach are also re-organising sales, marketing and technology departments around terms like “customer experience”, “innovation” and “content”. Forrester predict that marketing professionals will be under increasing pressure to deliver measurable business outcomes this year. No surprises there! So to succeed in 2016 your focus should be on: collaboration and innovation; developing a single customer view; improving omni-channel experiences for your customers and prospects; more personalised interactions throughout the customer journey; ramping up real-time marketing and cross-channel data collection; skills development and closer attention to analytical, predictive and cognitive tools; plus of course – increased speed and agility. Oh… BTW, our final forecast trend is this… 2017 will be here before you know it! So good luck implementing these 2016 trends into your data-driven marketing over the year ahead.